In this first webinar in the series, Independent Consultant, Richard Wallis, traces the history of the Schema.org vocabulary, plus its applicability to the bibliographic domain. He will share the background to, and activities of, the Schema Bib Extend W3C Community Group he chairs; why it was set up; how it approached the creation of bibliographic extension proposals; and how those proposals were shaped. He will then review the current status of the vocabulary and the recent introduction of the bib.schema.org and auto.schema.org extensions. Although Richard will be using bibliographic examples, the content of this webinar will be of interest and relevance to those in other domains, and/or considering other extensions. 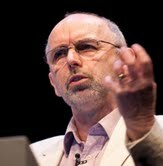 Richard Wallis, Independent Consultant, is a distinguished thought leader in Linked Data and Semantic Web who has been at the forefront of the emergence of these technologies for over 20 years. He is Chair of the Schema Bib Extend, and Schema Architypes, W3C Community Groups and evangelist for the adoption of Linked Data in cultural heritage and the wider Web. He has an international reputation for insightful and entertaining keynote sessions at library, Web, and Semantic Web focused events. Currently working with OCLC, Google, and the banking industry on the extension, application and use of the Schema.org vocabulary; he is a pragmatist who believes in searching for implementable solutions.